The initial rundown of figures, according to the press release, runs like so “Mario, Peach, Link, Samus, Yoshi, Donkey Kong, Pikachu, Kirby, Fox, Marth, Villager and Wii Fit Trainer. You’ll notice that all of these figures are in the new Super Smash Bros., and that’s because they’ve each been made to work with the game. 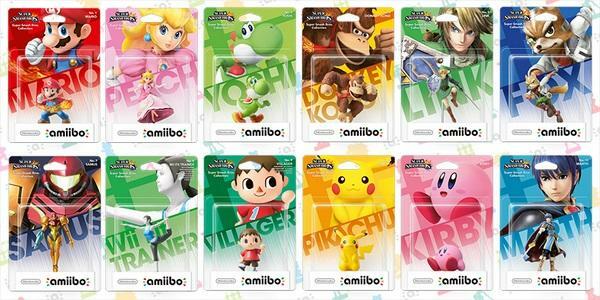 They’ll bring in extra content for players who buy them, so think of amiibo like DLC figures. The release had this to say about the new figures. Nintendo’s foray into the toys-to-life category starts today, with the first 12 amiibo figures available to pre-order from select retailers. Super Smash Bros.for Wii U, which launches this holiday season, will be the first game with full integration of amiibo functionality. Other games that will support amiibo include Mario Kart 8, Captain Toad: Treasure Tracker, Mario Party 10 and Yoshi’s Woolly World, with more to come. More details on amiibo functionality with the various games and a launch date will be revealed shortly. So, right, we’re still waiting on a launch date. Expect that in the coming weeks or months.